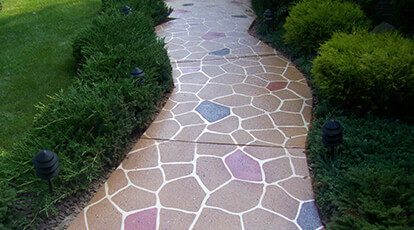 Concrete Coatings, Inc. Efflorescence Remover is a biodegradable concrete cleaner. This product removes cement-scale and excess antique release. Other common areas to use Concrete Efflorescence and Antique Release Remover include exposed aggregate, porous brick, natural and manufactured stone. It may be applied with a brush or a sprayer. Packaging: 1-gallon jug, 5-gallon carboys. Coverage:100-400 feet per gallon as an efflorescence remover and 200-800 feet per gallon as an antique release remover. Learn more about efflorescence, the causes and the solutions by downloading our PDF: Efflorescence: Causes, avoidance and solution.